Bread can be formed into any shape you desire. Some bread is best in a traditional loaf pan while others, like sourdough, are nice as a round loaf. Shaping is a personal preference, but there is a basic technique for forming the tradition rectangular loaf of bread. 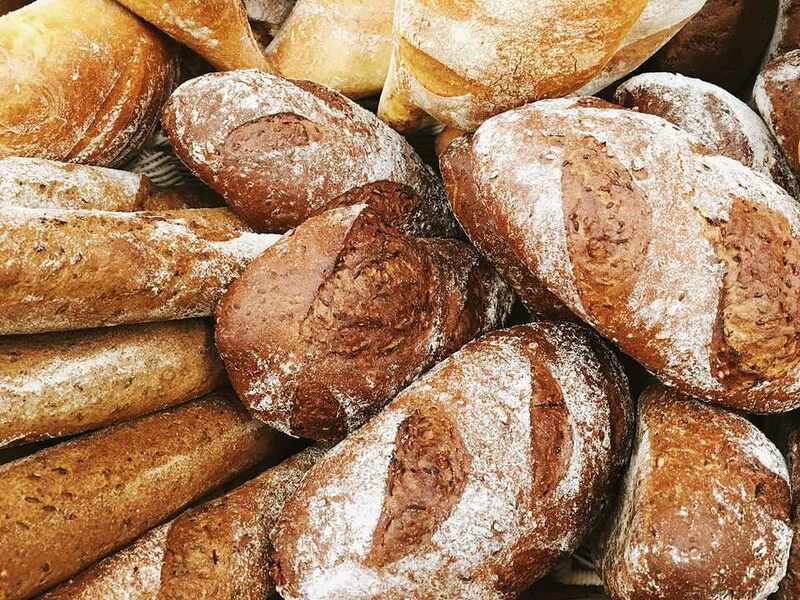 If you are a beginning bread baker, use this guide to take you through the process step by step. It is perfect for simple white and wheat bread recipes and the baked loaf is easy to cut up into sandwich-worthy slices. You will need a clean counter or board, rolling pin, bread dough, flour, bread pan, and butter or cooking spray. Get out your rolling pin and flour, and ready the board where you'll be rolling the dough. Begin by adding a light dusting of flour onto your board. Be sure to flour your rolling pin and hands as well, so the dough does not stick to either. (Add small amounts of flour throughout the process if you encounter sticky dough). Use the rolling pin to roll the dough into a rectangular shape. This is the step where your loaf begins to take shape. If you have ever made a jelly roll, then this will be very familiar. However, there's no need to worry about a filling with your bread, so it's much easier. Roll the dough into itself to form a long, loaf-like shape. Your loaf roll now needs to be sealed up. In this step, you will close the seam created when you rolled the dough. This holds the bread shape together. Pinch the seam closed with your fingers. If you are having problems keeping the seam closed, wet the seam with water, and pinch it again to make it stick together. Your loaf is really beginning to take its final shape now. There is just one last step to secure it so it doesn't split open while baking. Fold one end of the bread over the seam, and pinch it closed. Again, use water if needed to get a good seal. Repeat the "fold and pinch" on the other end of the loaf. A couple of finishing touches and your bread loaf will be ready for the pan. Roll the loaf over so that the seam is on the bottom. Finish shaping the dough into a loaf by pushing on the ends, so it will fit inside your bread pan. Now to get the loaf ready for the oven. Place the loaf in a bread pan that has been buttered (shortening or spray cooking oil will work as well) and covered in cornmeal. Cover the loaf with a clean towel, and let it rise until it has doubled in size (typically 30 minutes). Bake per the recipe instructions. Scattering a little cornmeal in the pan before placing the loaf in it is optional. It can help when removing the baked bread from the pan. Experiment with this as every pan, oven, and oil combination is different. You may find that your set-up doesn't require cornmeal. Not every baker relies on bread pans, and your bread will taste just as good if you do not use one. The typical loaf pan will create a taller loaf that is similar in shape to the loaves you buy at the store. This is because the sides of the pan force the dough to keep its shape while baking. If you don't have a bread pan, press the two ends closer together, and place the loaf on a greased baking sheet. When baking, the loaf will spread out a bit and create a more oval-shaped loaf. 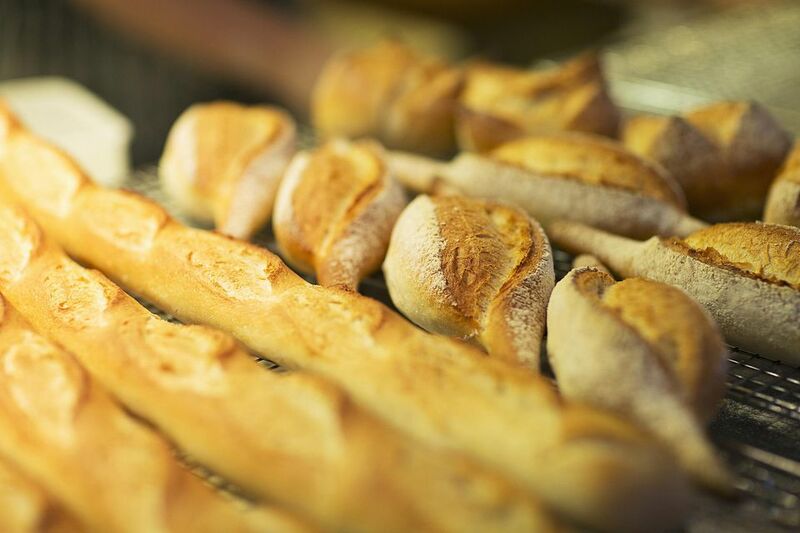 It will have the look of an artisan bread or a classic French bread. While the slices are smaller and not the typical rectangle, they are still great for a dinner side and make nice little sandwiches. They're also useful for a dish like a bruschetta.